Hearty Healthy Davao Burger, Anyone? Are you craving for a burger yet you worry of your health? That’s not a problem with Davao City’s Backyard Burgers – one of the best in the city. I was a little sceptical about the place when I first went there. There is nothing fancy about it, so simple. But wait till you get a taste of their burgers. Man, there’s nothing ordinary about it! They use high quality meat and buns topped with freshly made ingredients. Backyard Burgers (also known as BB) isn’t just into the quality of burgers they offer, they are also concerned for their diners health. The burgers are not just meaty and juicy, but healthy and hearty as well. They are made with fresh ingredients, I guarantee. Aside from the delicious burgers, they also have friendly and nice staff. That’s more than a plus! The main branch of BB is located at Quimpo Boulevard near SM City. The other (newly opened) branch is in Quirino. Come! 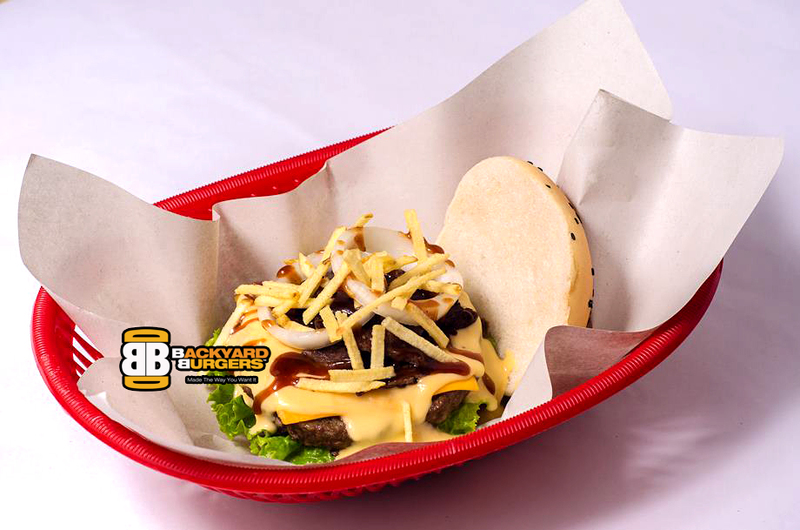 Experience the best hearty burgers Davao has to offer!